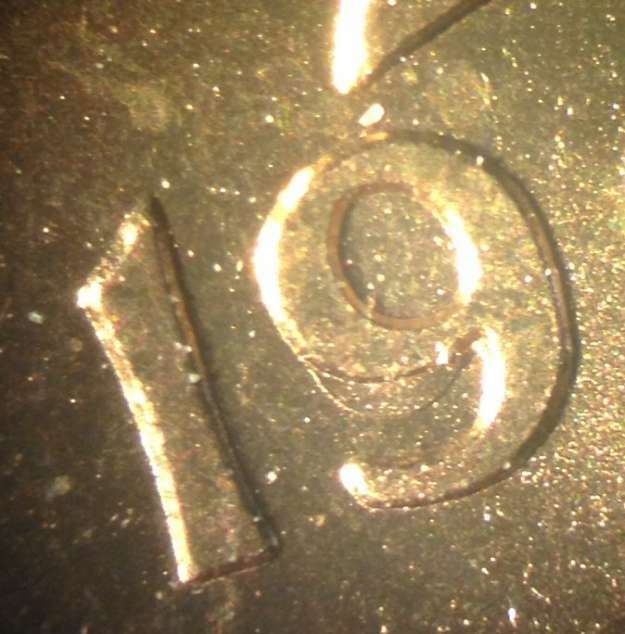 I found several of these in a roll of 1965 pennies. Any thoughts on what this is? I don't believe it is a double 9 as the contours are different. Thanks in advance. Re: what is this error? Double 9 or die clash? I would have to see the whole coin to tell you what's going on. If it's on all the coins struck by that die, then it could be hub-doubliing, but it doesn't appear so. Computer shots of 40-60X magnicication can make even excellently manufactured objects appear out of whack. The mint make utilitarian objects by the hundreds of millions of copies, not individual collectible finely-tuned things. There is a tolerance in any manufacturing process with very wide tolerances applicable the cheaper the individual object is. It's a coin, not an airplane engine part. Thanks Bill. I did take this picture at 10x magnification but cropped it so it would be easier to see. It is easily visible without any magnification with the naked eye. I do understand that these are utilitarian and that there is some margin for error but these seem extreme in that sense. When you say you would like to see the whole coin are you wanting me to post a picture of it or were you talking about seeing the actual coin in person?